Best Badges Ltd: What is the best size of button badge? 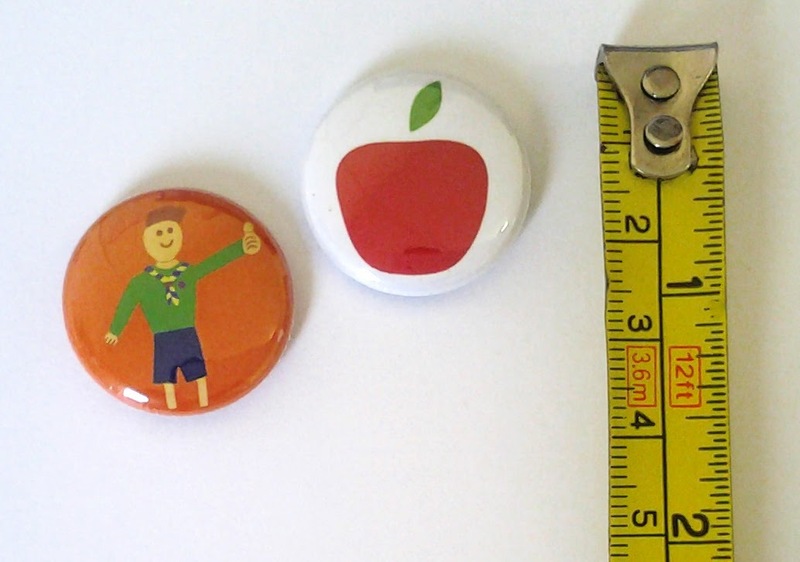 What is the best size of button badge? Of course the question is largely a matter of personal preference, but there are some key things to consider when choosing the best size for your artwork. 1. Small badges are more subtle but also more fashionable. The 25mm size badge is considered to be the classic "one inch button", timelessly fashionable so a great choice for brands, musicians and artists. The small size makes them great for logos and eye catching designs, and it also makes them the most likely to be worn as a fashion accessory. 2. Larger badges are better for communicating a message or promoting an idea. 38mm or 45mm diameter sizes give a little more scope to communicate a slogan or marketing message. The artwork can include more lettering and more complexity but still maintain visual impact. These sizes are perfect for membership tokens or advertising events. 3. Really big badges can carry lots of information to see across a crowded room. 58mm or 77mm diameter badges allow room for complicated messages, and can also provide a way to promote a message across a room. These large sizes are popular for staff to wear for corporate promotions, or of course if you are looking to make the biggest possible impact when the badges are worn!